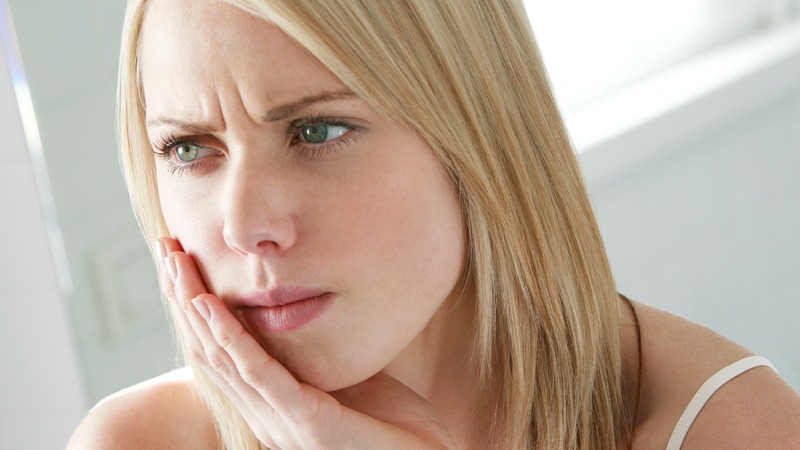 Grinding your teeth (bruxism) is widely thought of as a sleep-related disorder. Many bruxers who clench or grind their teeth during the night have other sleep disorders, such as snoring and pauses in breathing (sleep apnea). But there could be another reason for your teeth grinding — be it during the day or night. Doctors still don’t completely understand the causes, says Mayo Clinic, but intense emotions such as anxiety, stress, anger, frustration or tension could be at the root of the problem. Meaning the more stressed you are, the more likely you are to start bruxing. “Nervous tension, anger and frustration can cause people to start showing the signs of bruxism without even knowing it,” says California clinic Delta Dental. Last week, writer Hale Goetz revealed how her own anger management issues were “destroying” her teeth. During a visit to her dentist, he revealed her canines were flat and told her she would need a mouth guard if she wanted to prevent nerve damage. As a lifelong bruxer, the impact of extreme habitual grinding was “inevitable” to Goetz. When it was pointed out to her by her dentist, using a pair of false teeth to show just how out of line her jaw had been moving to flatten her teeth, she began to notice just how much of a grinder she was and how it was more extreme when she was in a state of emotional conflict. A mouth guard is typically the first step a dentist will recommend toward preventing or correcting damage to the teeth, as it keeps the teeth separated to soften the impact of any clenching or grinding. Goetz says her mouth guard has two roles: It does its job by protecting her teeth, but also (and perhaps more importantly) it serves as a useful self-care gauge. The deeper the notches in her mouth guard, the more attention she needs to pay to her emotional well-being. Other self-care tips for bruxism are listening to music, taking a warm bath and exercising. Stay away from stimulating substances (including alcohol, caffeine and nicotine) in the evening, and try to say goodnight to technology at least 30 minutes before you go to bed. Above all, don’t forget those regular dental exams.